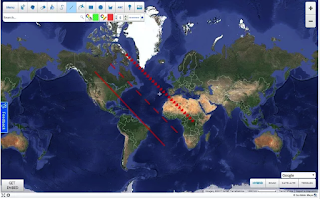 Below are three very good map tools you can use with students in class. These are Chrome extensions that empower you with a bunch of excellent features to create, edit and customize your maps the way you want. Some of these features include: create stylized Google Maps to share with your students in image, GPZ or PDF format, measure the distances between areas in a map using Free Maps Ruler, create mapped routes with permalinks to track on your mobile device using GPS. Scribble Maps is a great Chrome extension for creating and sharing customized Google Maps. Some of the the features it provides to its users include: create custom styled maps, a library of over 2000 different markers to choose from, save your maps in different formats (e.g KML/PDF/GPX/JPEG), export your maps to Google My Maps and Google Earth and many more. ‘Free Maps Ruler allows you to easily measure the distance and the area between selected points on a map. All you need to do is just add a bunch of points on a map using the red marker button from the top application menu. After that the distance or area calculation is done automatically and the result is displayed in the left top corner. The viewfinder in the middle of the map should help you determine where exactly you are placing the makers. 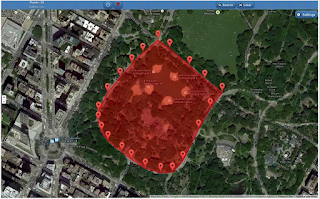 No GPS position acquisition is required, all markers can be added manually’. On The Go Map allows you to easily map out routes and create permalinks to share with others or embed in a blog or website. 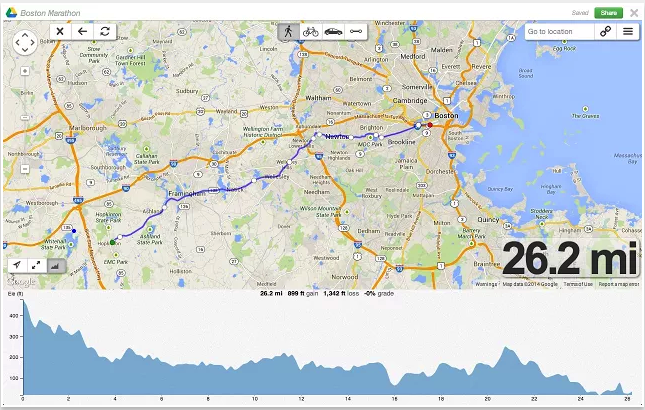 You can also export your routes as GPX or send them to your phone to track them using your GPS. This extension is integrated with Google Drive allowing you to instantly save your mapped routes to your Drive.